We interviewed Miles Mitchinson, the Adventure Director at Detours Travel. How is Detours different from other travel tours? Detours emerged out of a demand for exotic international trips that are not mass cookie-cutter "tours" with set daily itineraries which try to suit the diverse personalities and interests of a big 50-person bus of tourists. Our small group trips appeal to travelers looking to enjoy the social aspects of a like-minded group, and the stress relief and local knowledge of an experienced trip leader, but want the flexibility to be unique and take part in activities that really interest them. What is the vibe / feel of a Detours tour? Detours trips put a priority of fun and social activity rather than on being strictly educational, informative or historical. This results in a laid-back atmosphere that fosters new friendships, relaxation, and social cohesion leaving our travelers with a bunch of new friends and experiences at the end. The vibe is not rushed or serious, but casual and fun, with plenty of guys who have joined us to experience a new exotic part of the world with new people in a safe environment. Travel has an incredible effect on not just the person doing the travel, but on each person they interact with along the way. For the traveler there are an infinite number of fulfilling benefits, from opening the mind to different cultures, each with their own ideas, ways of life, and experiences, to the important opportunity to step outside regular life to relax, clear the mind and reflect. For locals, incoming travelers offer an opportunity to interact and learn from different cultures without leaving home. The exchange of ideas, beliefs, and cultures leads to a more understanding and educated world. Unfortunately, not everywhere in this world is completely safe for LGBT travelers, or LGBT locals for that matter. However, travel plays an incredibly important part of growing acceptance of LGBT people worldwide. The interaction of cultures allows travelers and locals to connect face to face, share stories, learn, and dispel myths that a person's media, government, or religion may have spread. The more the world learns from experience that LGBT people are not a threat to them, but a group of fellow humans that deserves our rights just like any other group, the more the world will become safe for LGBT travelers. At the moment Detours does not offer specifically naturist or nudist travel opportunities. What have your previous guests said about Detours? 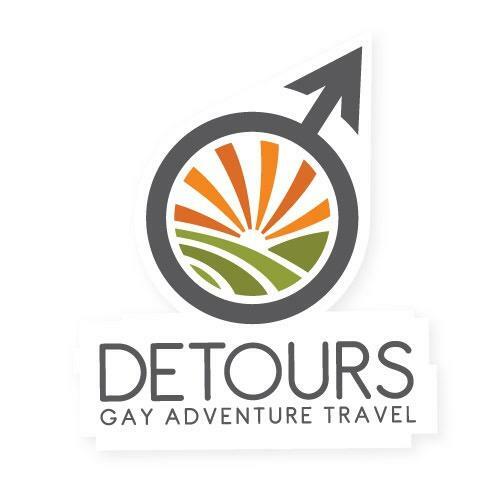 Detours has more published reviews than any other LGBT tour operator, who rave about their experiences with us all over the world. We are proud of the 5-star reputation we have maintained over the years and list the detailed feedback from well over 100 past travelers with us.